I attended Tuesday’s keynote kicking off Macworld Expo with my colleague Dan Frakes (and 6,500 or so of our closest friends), and afterwards—after we’d escaped from the crowds and could actually hear each other talk—we were both arrived at the same one-word summary of the event: cohesive. Consider Apple’s four major announcements during the keynote. Leading off, Time Capsule offers a wireless backup solution for those who live and work on portable Macs. While there’s nothing ground-breaking in the product, the price point is competitive with what it would cost to purchase an AirPort Extreme base station and a 500GB or 1TB hard drive. A cynic might question whether the existence of Time Capsule explains the disappearance of Time Machine’s AirPort disk feature, but thankfully, I’m not cynical. 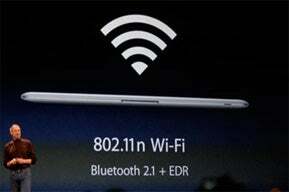 The next announcement continued the focus on wireless devices, as the iPhone received some nice software updates. Most interesting to me is the ability to add icons to the main screen of the iPhone (and support for multiple pages), as well as the GPS-like map positioning feature. No matter the product being discussed, Steve Jobs seemed to stick to a wireless theme during Tuesday’s keynote. Third up was iTunes movie rentals. The big news here, at least from where I sit, is the participation of all the major studios, and the ability to watch the rentals on any device—even transferring them mid-session, if you wish. Again, wireless entered the picture when the updated Apple TV was revealed. No longer is the Apple TV required to live in the shadow of a parent PC or Mac; instead, it’s a full-featured standalone device. Using its wireless (or wired) connection, you can purchase songs, and rent movies, from the iTunes Store directly on the Apple TV. These purchases can be synched back to a Mac or PC, if you wish. Update: Since this blog post was published, we’ve learned that while you can sync music and TV show purchases back and forth between your computer and the Apple TV, you can’t do the same with movies that you rent directly from the set-top box. It's a matter of rentals being DVD-quality if bought off the Apple TV while other rentals are "near-DVD quality." So there really was something cohesive in the air today—excluding Randy Newman’s first song choice, that is—and it’s obvious that Apple has a well-thought out product strategy. Take one part movie rentals from every major studio, add in one part new AppleTV, mix with the ability to watch those movies on any device—including the new MacBook Air and improved iPhone/iPod touch—at any time over a 30-day period, shake with the iTunes Store’s huge market share, and I think you have a recipe for success. Time will tell, of course, but I think Tuesday’s keynote shows that Apple has a solid vision for their product line, and seems to be executing it very well.